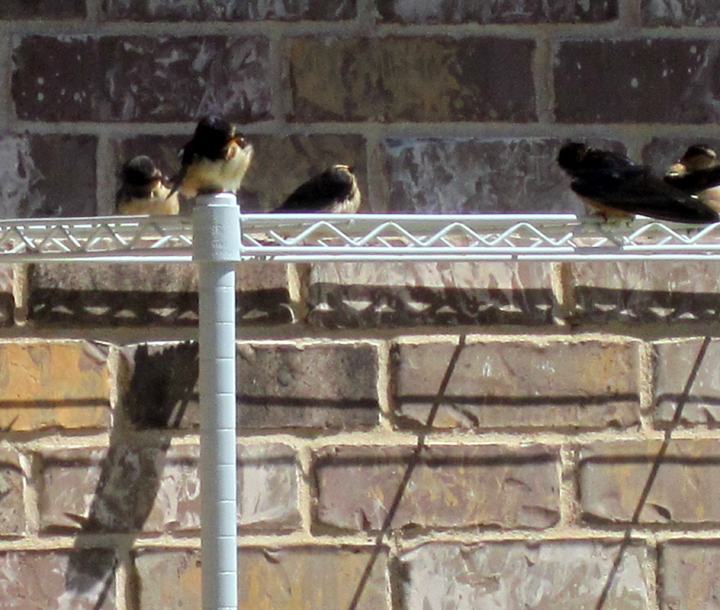 Every spring since we've been here in Lubbock, 4 pairs of house martin have set up homes in two corners of the back covered porch and in the front covered porch. I look forward to watching them. Their babies all seem to be quite demanding wanting their supper. 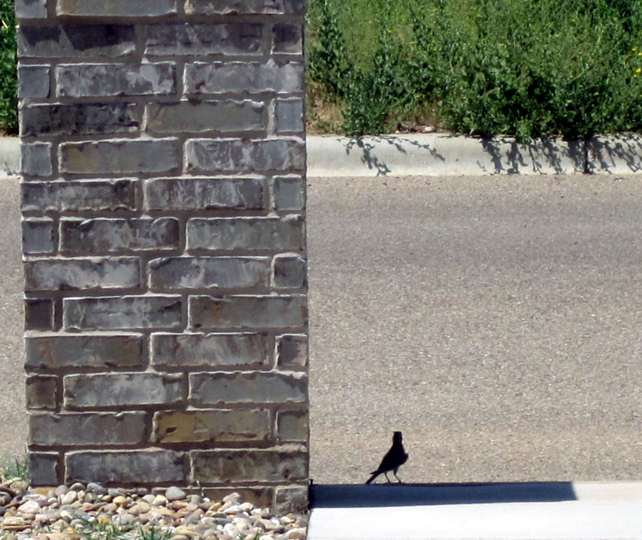 These pics are from 2012 - they were the first residence that I observed. 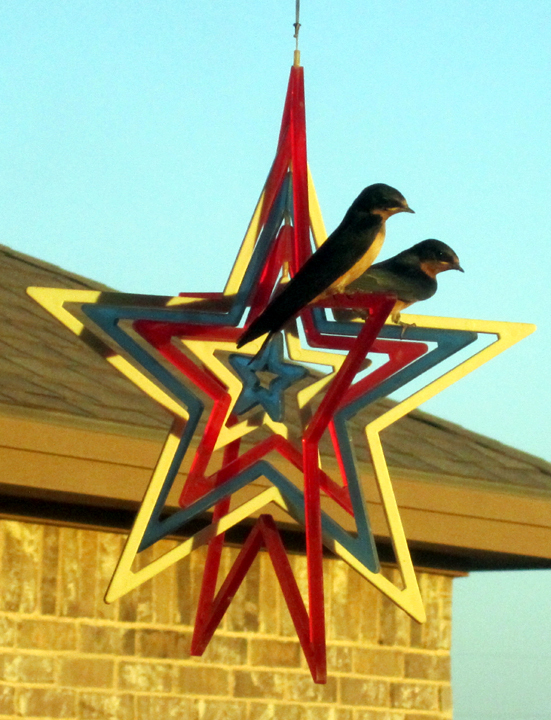 I don't know if the same family of birds come every year or if several different birds compete for the prime real estate. 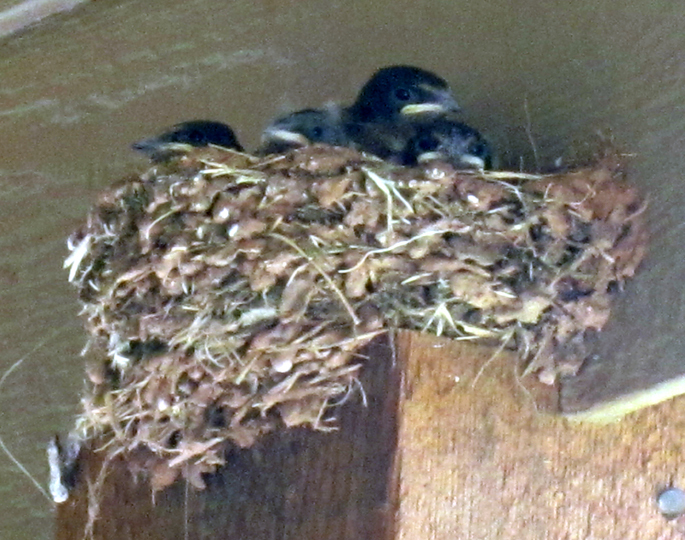 House guests - house martin moved into the nest from the year before. All 4 babies survived. The adults taking a break. The adults enjoyed spinning on the star mobile. They took turns going for a ride. Taking shade where ever they can find it. This is not a house martin.